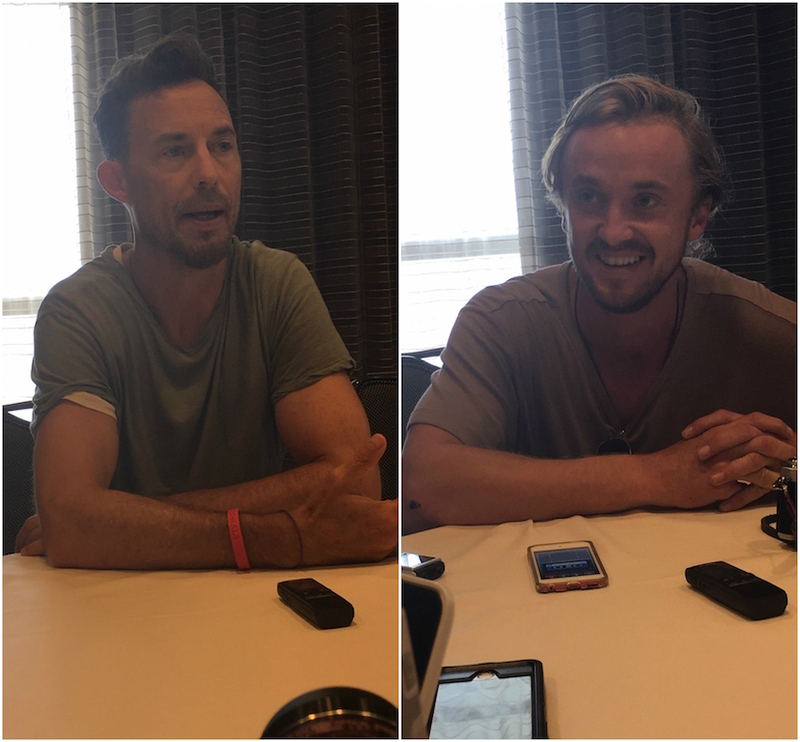 We talked with Tom Cavanagh and new cast member Tom Felton about what makes The Flash such a fan-favorite. Watch our interviews for more! The Flash has had the most interesting villains, but certainly Harrison Wells has been one of the most (if not the most) compelling. On Earth-1, the real Harrison’s life was cut short and then taken over by Eobard Thawne who, as we know, did some pretty despicable things. And while Earth-2 Harrison is a prickly man, he’s also a devoted father and invaluable member of Team Flash. Also, the Harry/Cisco dynamic this last season has been hilariously good! (In fact, we talked to Carlos Valdes about that relationship and the ad-libbing that produced the amusing relationship, HERE). Through the many dimensions and iterations of Harrison Wells, Tom Cavanagh and his amazing acting have been the constant. I had a chance to sit down with Cavanagh, who shared his thoughts on being part of The Flash. He talked about playing Wells over the last two seasons and the prospect of playing another version of the character yet again. The Flash world was all aflutter when earlier this summer we learned that Tom Felton, AKA Harry Potter‘s Draco Malfoy, would be joining the cast as a series regular! At SDCC, the details of Felton’s character was still under wraps; however, he did tell us that he’s filmed two episodes already and he hadn’t been asked to wear a superhero suit or cape. The Flash returns Tuesday, October 4 at 8:00pm ET|PT on The CW!